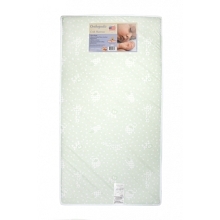 A crib mattress is one of the most important aspects of a quality crib and of completing your baby's nursery. 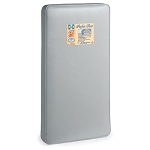 Of course, it just follows that you’ll also need to acquire a suitable crib mattress as well. 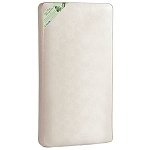 But in order to truly provide utmost comfort for your baby, you’ll need top-of-the-line baby mattresses that are ergonomically designed to address their sensitive needs. 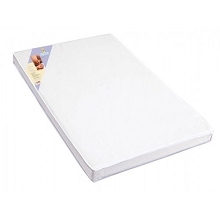 Lo and behold our line of special crib mattresses that showcases certain features engineered to provide lasting comfort, support, and good health for your baby, as he/she grows older. Examples of such features include: Posture Tech innersprings, vinyl-laminated covers, and BabySafe side seams, just to name a few. 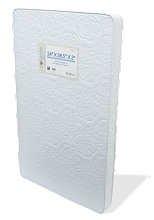 Don’t waste any more time or money and complete your baby's crib with a quality mattress. Take your pick among these high-quality options of crib mattresses for your baby -- because they deserve nothing but the best. 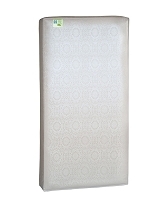 Baby Time Big Oshi Baby Crib Mattress 5"
Baby Time Big Oshi Baby Crib Mattress 4"